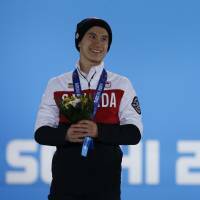 Sochi, Russia - Canada’s Patrick Chan held a press conference on Saturday, the day after settling for the silver medal behind Yuzuru Hanyu. The three-time defending world champion is handling the disappointment remarkably well. Chan was moved when told that fellow Canadian Brian Orser, who coaches Hanyu and Spain’s Javier Fernandez, said he felt more emotional hugging Chan than his own skaters after the free skate. 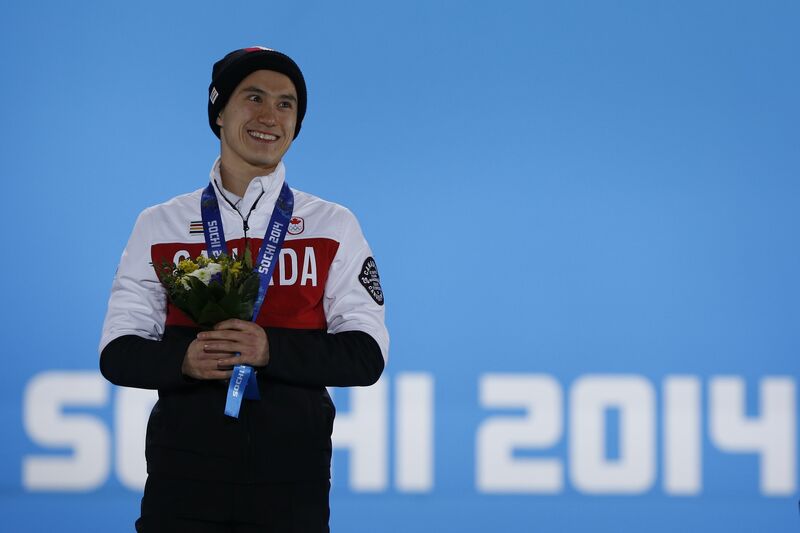 The 23-year-old Chan had an interesting reaction to Orser saying he took a long time to get over missing out on the gold medal at the 1988 Calgary Games. “It is amazing we are so tough on ourselves for winning a silver,” Chan commented. When asked about the schedule in singles, which in previous Olympics always had at least one day between the short program and free skate, Chan claimed it took a toll. A Canadian skating source told Ice Time that she attributed Chan’s dip in form this season with his coach, American Kathy Johnson, who wasn’t firm enough with him. Krall resigned in April of 2012, weeks after helping Chan win his second straight world crown, citing philosphical differences with the skater. The Ottawa native said the margin for error at the highest level is miniscule. It looks as if Chan will go down in history with the likes of Michelle Kwan (who won five world titles) as a great skater who never captured the Olympic gold medal. Kwan and the word “class” are synonymous. The same can be said about Chan. It appears that Chan, who looked absolutely exhausted at the end of his free skate, may not be coming to Saitama next month to defend his world title. Getting up to speed: Kanako Murakami practiced twice on Saturday ahead of the women’s short program next Wednesday. The Four Continents champion worked on her short program to a swing medley in the evening session at the training rink next to the Iceberg Skating Palace and looked sharp. Murakami repeatedly snapped off crisp jumps while sharing the rink with three other skaters. Akiko Suzuki returned from training in Armenia and also participated in the evening session. Suzuki practiced her free skate to “Phantom of the Opera” and looked much better than in her performance in the team event last week when she had major problems. Back at it: After a day off on Saturday, Kim Yu-na practiced on Sunday morning at the Iceberg Skating Palace and made some comments afterward. Kim gave particular attention to one jump during the session. Rules enforced: Kim will not be able to wear earrings when she goes for her second straight Olympic gold medal here, the Chosun Ilbo reports. That’s because IOC rules prohibit athletes from endorsing products other than those of official sponsors. When Kim won in Vancouver in 2010, she wore “crown” earrings by J. Estina which then became big sellers. That won’t be happening this time around. Interesting fact: The top three of Hanyu, Chan and Kazakhstan’s Denis Ten on Friday night marked the first time an American or Russian has not made the podium since World War II.